Most of the dogs bark for a good reason but there are some of them who bark for absolutely no reason. Sometimes no matter how much we try to train our dogs not to do it, we can never achieve our goal. There are lot's of ways to train your dog to stop barking. Here's a list of techniques that can be very successful and can help you to stop your dog from barking. 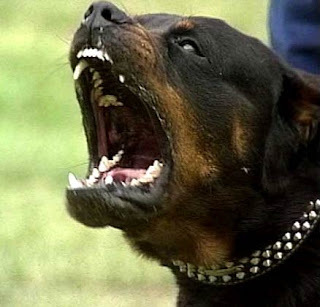 Ignore the barking - Your dog will get tired, so if you do nothing when he barks, he will likely stop barking. Find a Replacement Behavior - Start playing with your dog, or teach them something new when they bark. This way your dog will learn something new and useful and hopefully will find the new behaviour better and after sometime forget barking. Bark on command - Teach your dog the so called 'speak' command, wait for him to bark two or three times, and then give him his treat. Teach your dog the 'quiet' command - After your dog learns the 'speak' command, now it's the time to teach him the 'quiet' command, when your dog start barking say "quiet" until he stops barking, repeat command several times and give him a treat. Use his favorite toys - Keep one of the dog's favourite toys and train your dog to pick it up when a guest comes. He will be less likely to bark when he is with his favourite toy in his mouth. Control Request Barking - Be careful. Do not allow his treat request barking fool you, You know better when should he eat, and how much. Neighbours dog was barking for hour and half I was ready hang myself so annoying did not get tired.